Do you want to learn how to draw cute cartoon cows? Cows aren’t always easy to draw, but after seeing how they are drawn, I bet you will shock all of your friends with your drawing abilities. I have put together a step-by-step tutorial that will help you figure out how to draw cartoon cows by using simple shapes to build up this cows’ form. This is an intermediate cartooning tutorial that kids, teens, and adults will enjoy. 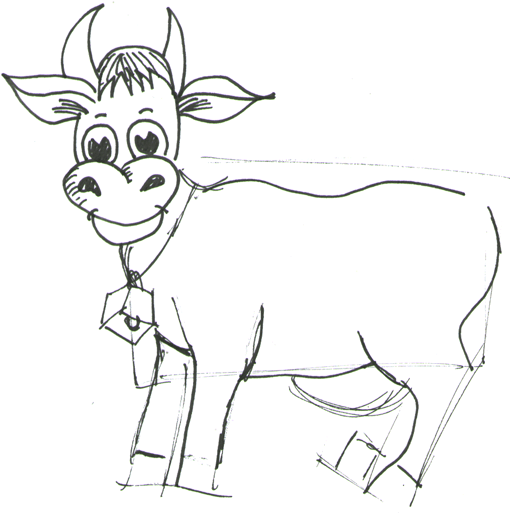 Even some younger children might be able to draw cow if you stand by to help with the instructions. Enjoy! 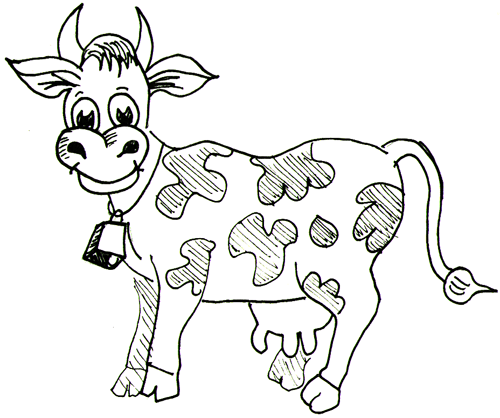 The above picture of a cartoon cow is what we will be drawing step by step today. Find this drawing tutorial below. Get out a piece of paper, a pencil, and a black marker. Good luck. We are first going to draw the cow’s face. So take out your pencil and lightly draw the cow’s simpler shapes the way that I did above. Don’t worry about mistakes because you can erase these later. Later, you will be using a pen or marker to outline the ‘right’ lines. 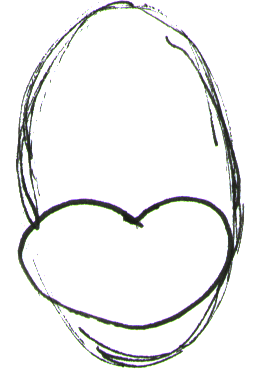 You can first draw an oval and then at the bottom 1/3 of the face draw a heart-like shape (without the pointy bottom). Now draw the ears (they both sort of look like sideways letter ‘V’s). Also draw the lima bean shaped nostrils. 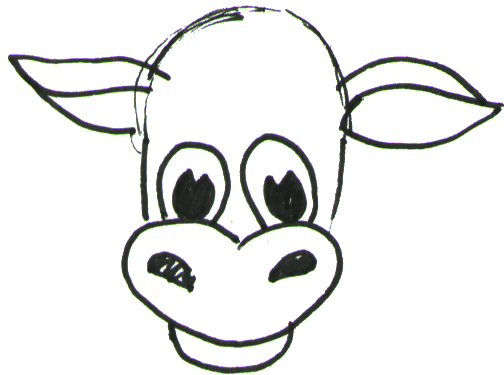 Now draw the details of the cow’s ears and draw the cow’s eyes. 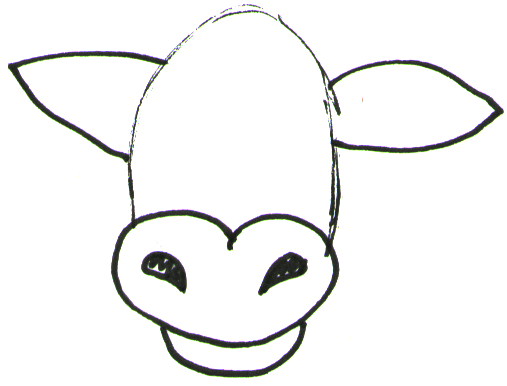 Now draw random lines inside the cow’s ears, draw his horns (upside down letter ‘V’ like shapes). Also draw the eyebrows and the hair. The hair sort of just looks like a bunch of ‘M’s. Also draw curves on both sides of the cow’s mouth for a smile. 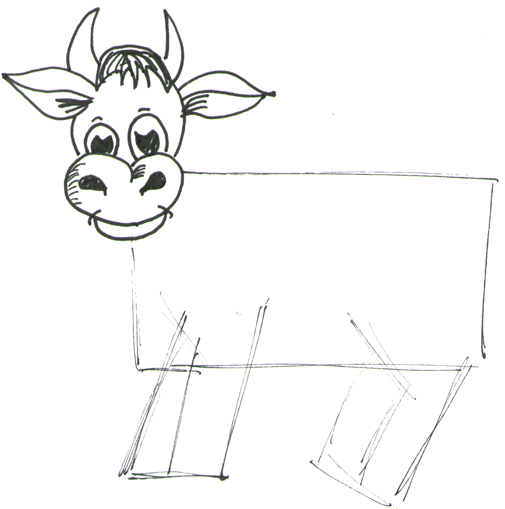 Now draw a rectangle body for the cow as well as rectangle-like shapes for the front and back legs. Now turn the rectangle into more curvier lines to actually represent the cow’s shape. Also make a cube like shape for the cow’s bell. where is the last step? Other than that it is GREAT!! I love cows and this is an easy way for me to draw them! Hi Joe…you have to click on the “Next Page” link to get to the rest of the steps. Thank you. I was looking at my drawing and was wondering what was missing. I grateful for this easy drawing method and helps to concentrate on the object. that is so neat!! i made mine and it turned out quite well i have to say. I made it for my baby cousin’s nersery for when she’s older. I am in grade 8 by the way and i love how you can try on the side with that doodler if you dont have paper handy. 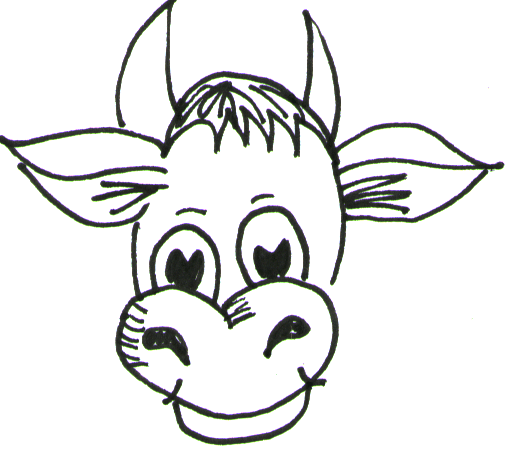 omg this cow is hard to draw like seriously im going into grade 6 and its hard for me! wow but nice drawing for who ever did it….. bth i loveeeeee Justin Bieber! this turns out to be really cute!!!! my daughter loves to draw it! !